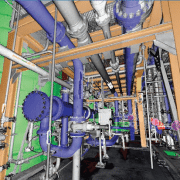 As 3D laser scanning has become easier and more affordable it has become the technology of choice for ‘as-is’ data capture. 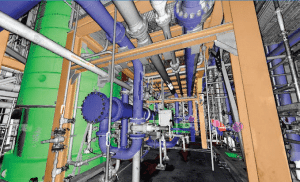 LFM Server™ enables users to maximize the value of the rich information that laser scanning generates. There are many different 3D laser scanners and 3D CAD systems in use today. LFM Server has been developed to provide users with maximum freedom of choice of both scanning and design systems. It can read unstructured data from various scanner types; not only terrestrial laser scanners but also hand-held, mobile or aerial scanners. Designed to work with data from even the highest-resolution scanner, LFM Server enables users to work with datasets of unlimited size and exploit photorealistic, 360° BubbleViews™. For more information about LFM Server 4.2’s great new features, contact us or read more here.